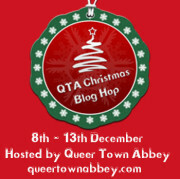 Welcome to my installment of Queer Town Abbey’s Christmas Blog Hop! Have you checked out the master list of participants and all the fabulous prizes being offered? Not to mention all the cookie recipes! Be sure to read all the way through the post to find out what you can do to increase your chances of winning a terrific prize! Once you’ve done that, click on the link to enter take you back to the main list (and the Rafflecopter). Answering the question from this post that will increase your chance of winning! Now, on to the post! Christmas has always been a bit of an odd thing in my family–a strange hybrid of Scrooge’s Christmas Past and Present. I used to wonder how Scrooge could be so tight-fisted and hard-hearted when he’d experienced the kinds of Christmases his old master Fezziwig enjoyed–but never noticed that’s what my family was like. I grew up in a family of service-oriented people. My father almost always took the Christmas Eve shift at the ER, and we were not allowed to open presents (the most important part of the day to a child) until he returned home late Christmas morning. After we ate breakfast and opened gifts, we’d pile into the car and drive for hours to my grandparents’ house. Now THEY knew how to do Christmas! People of strong religious beliefs, they had no problem with mixing Santa Claus, Rudolph, Frosty, and the celebration of the birth of Christ. The tables groaned with food–all the best that a Church Lady can make. The stack of presents spilled out from under the tree and into the middle of the room. Family came in from all over the country just to share that one day with my grandparents, in a room full of laughter and light. It was magical in every since of the word. Even if there had been no presents at all, we still would have gathered, goofy smiles on our faces, like the Whos down in Whoville the morning after the Grinch stole Christmas. When my grandparents died, some of the magic went out of Christmas. I entered a service-oriented profession myself, and as a single woman without children, I almost always had to work the holidays. I don’t mind telling you, I resented this attitude that I somehow did not deserve a holiday because I only had a furfamily. It got harder to get home. There was less reason to go home, as well. Family gatherings were stiff, cold sessions in which everyone kept one eye on the clock, counting the minutes until they could reasonably plead the need to start the drive home because everyone had to be at work the next day. Christmas wasn’t about food or gift-giving, my mother would say. Somehow her God was a lot less happy than the God I grew up knowing. For years, I tried to honor Christmas in my own way. 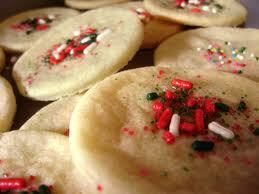 I’d decorate, and bake cookies to give to friends (even though the rest of the year, I am no Martha Stewart!). I’d watch my favorite holiday movies. I’d save all year and buy myself a really nice gift–a new saddle, or that laptop I desperately needed to replace. But over the years, I’ve noticed that I’ve gradually stopped doing that as well. The movies are available on DVD or Netflix or cable 24/7. There is nothing special about sitting down to watch Rudolph now. I can’t be bothered decorating when I am rarely home and I’ll just have to take it all down myself anyway. I’ve developed a wheat-intolerance–holiday baking is just not the same. And money has been tight enough lately that big extravagant gifts to myself once a year are a thing of the past. Imagine my surprise when I realized I’d turned into Scrooge. Yep. Slowly over the years, the joy of preparing for Christmas has turned into ‘one more thing on the to-do list.’ Even though I am no longer a family of one, I have only been giving Christmas a half-hearted effort for years now. The answer is obvious, of course. Like any relationship, you get out of Christmas what you put into it. For years I’ve worked myself to the point of exhaustion–it’s hard to make merry when you’d rather spend the day asleep in your bed. So this year, it’s going to be different. I’ve pulled out my favorite movies. I’m looking into gluten-free baking options. 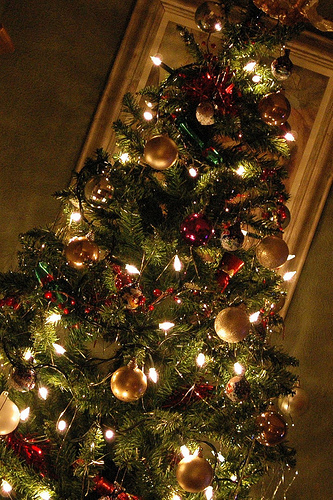 I’m going to do Christmas–maybe not like my Granny used to do, but with the joy and love of the season. I hope you will, too. Remember when I said my favorite Christmas story was “A Christmas Carol” by Charles Dickens? Well, I have to confess right here, my favorite version of that story is the Muppets version. Remember that. “Muppets”. It will be important when you go check out the Rafflecopter on QTA’s master list! And in other news, I’ll be starting my book tour for The Boys of Summer with Virtual Writers on Monday Dec 9-22! There will be interviews, a live Twitter chat, blog posts, and lots of chances for you to enter to win a $50 Amazon gift card–that would be handy right about now, wouldn’t it? 🙂 Be sure to come back to the website for all the details, or check out the book tour schedule here. Oh my! I almost forgot the cookie recipe! This is a favorite, especially if you like to cut out cookies in your favorite holiday shapes, but it IS a little tricky. I got the recipe many years ago from a friend who ‘added flour until it felt right.’ Those recipes can be challenging to translate, so your mission, should you choose to accept, is to try this recipe this year and let me know how it turns out! Cream butter and sugar. Beat in eggs one at a time. Add 1/2 of the cup of sour cream. Mix the baking soda and cream of tartar into the remaining half of the sour cream and all to the total mixture. Put in enough flour sufficient to allow handling (usually about 4.5 to 5 cups). Roll and cut out. Decorate with colored sugar. 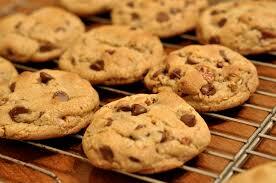 Bake at 350 degrees F until golden brown (about 9-11 minutes). Very nice with grated lemon rind added! This blog hop will overlap my book tour a bit, but never fear, I’ll keep you posted on both events! This entry was posted in Uncategorized and tagged blog hop, contests, holiday, life balance, promo, Sarah Madison by Sarah Madison. Bookmark the permalink. I admit, I definitely relate to not feelin’ Christmas as much following deaths in the family (especially my dad and my maternal grandma), but Muppets always make me happy, too! I confess, I understand Scrooge a lot better now. You don’t become hard overnight. Life batters you down. I’m determined to make more of my Christmas this year than in the past, though! Hah, if your family member figures out the magic amount of flour to add TELL ME. I’ve been trying to perfect that recipe for years! I do so appreciate your joining in on the book tour–that means a lot to me–thank you! I think you lose the magic gradually. Mine diminished as my great-grandmother died and I became a teenager but then when I had children I got some of it back until they became teenagers. Again I regained some of the magic when I had grandchildren but now they too are teenagers. I see a trend here, death and teenagers kill Christmas magic. I’m always up for a good Muppet movie. Now that their are no young children in the family I think Christmas loses a bit of the sparkle, we usually have a very quiet Christmas but I like it that way to. Sarah Madison recently posted..The Boys of Summer Book Tour Begins! I think our Christmases had the potential to be what you have described because I had several terminally ill relations who we spent multiple Christmases with in the hospital and both my parents worked long hours, but they put a lot of effort in to making sure we still had a warm and sparkling family Christmas. 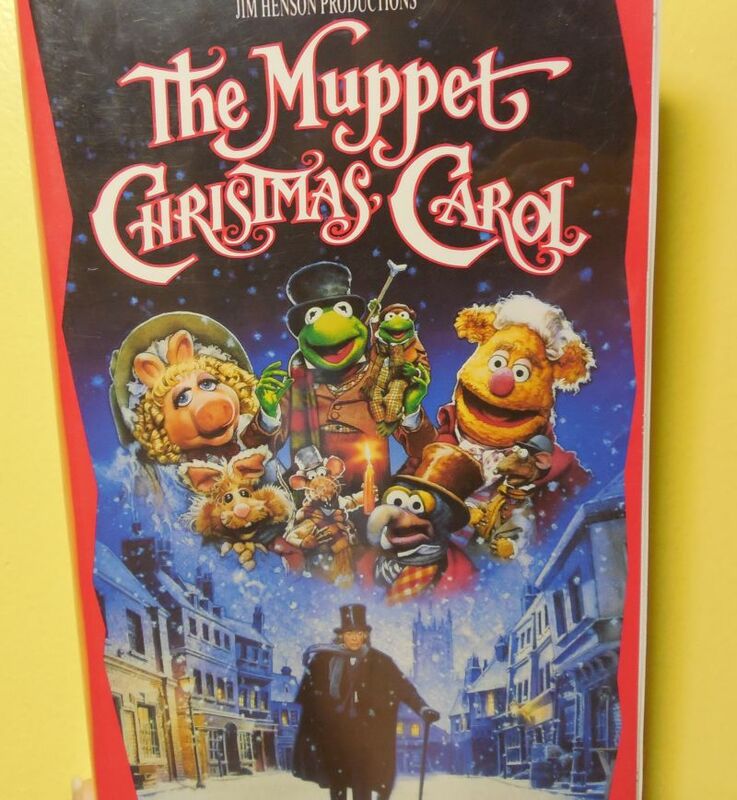 I’m not a huge Muppets fan, but I did love Mickey’s Christmas Carol when I was a teenager. Thanks for sharing! Enjoy that big Christmas you’re making for yourself. I try to keep the magic of Christmas alive, as it gets me through the bad times. In the last few years, my husband’d been through heart transplant, brain injury and this year back surgery. Even through all of this, I’m truly blessed and continue to count those blessing as he continues to come out of these medical problems. Thanks for the hop and Merry Christmas…..
You have been through so much! It’s wonderful that you have such a strong, upbeat attitude about it all. I’m thinking of you and your husband and hoping you will have the best of holidays this year! Loved the recipe, can’t wait to try it out! Thanks for the recipe. Can’t wait to try it. This year is kind of a bah-humbug kind of year for me. Not sure why. I want to send a personal thank you for your participation in the xmas blog hop 2013. Thanks to you the Christmas Blog Hop was a great success. Thank you, Anders! It has been a blast, as usual! So many great posts and so many wonderful prizes–thank you for hosting such a wonderful event!